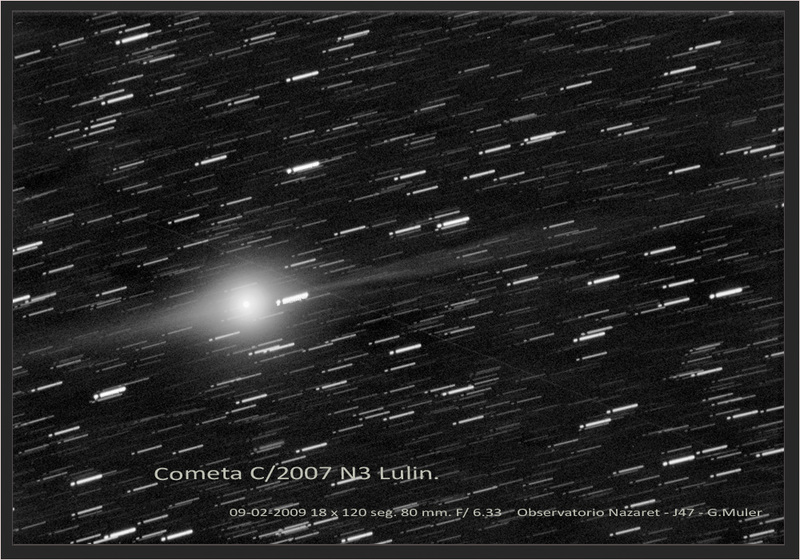 In other news comet Lulin is hard to observe right now because of the waning Moon nearby, but when it peaks around 5th mag., it'll be in the dark again (and visible in the full 2nd half of the night): pictures of Feb. 11 and Feb. 9 (processed) and visual observations up to Feb. 7; also discussion of Lulin's plasma tail. The NASA talk about an in principle poisonous gas in Lulins coma has led to some unfortunate headlines, also in Germany (where this tabloid headline says "green poison comet races by Earth" ...). 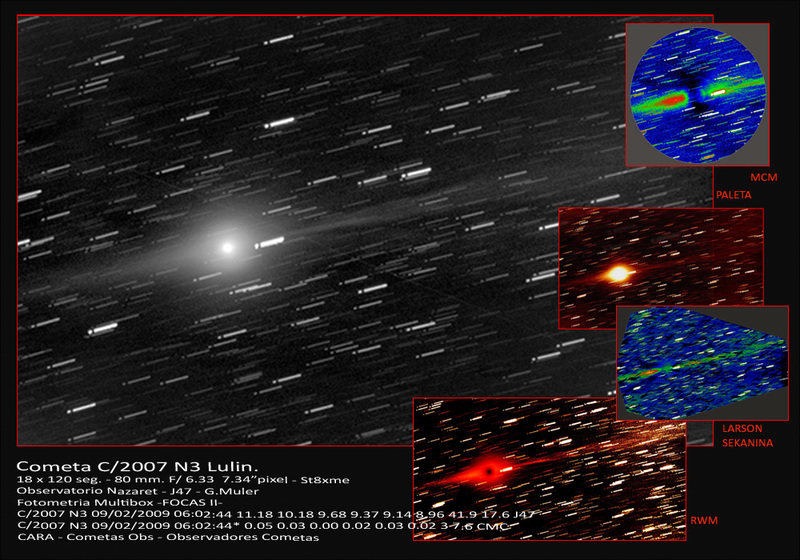 The comet's appearance has also been linked to the IYA. • Feb. 3 images of 116P and 29P. • Here now an amateur detection of Saturn's E ring (some of the ring gaps have new names, by the way) and the moon Calypso, an observation of Dione in eclipse under the rings and a Titan transit on Feb. 8. • One may also wonder why Venus is so bright. • There is a Nova in the LMC. • The debris from the big satellite collision on Feb. 10 (see the Cosmic Mirror #325 for many links) is detectable by radar echos. • What is 1999 RQ36 up to? (Not much for now.) • Also NASA's SkyView, 35 stunnung hi-res public domain astro pics and 101 breathtaking near-IR landscape pics of this planet - where it's happy Darwin Day (nice drawing) today!